Your client or colleagues wants “friendly” contract terms, to avoid offending the other side. For instance, you’re the vendor, and you have two pretty tough-sounding clauses in your standard terms. Both terms just sound so unfriendly. Your colleagues like the outcome — protection for your company — but they don’t like the tone. Could you just soften them up a bit? Don’t do it! It is not possible to make contract terms friendly without losing some of their meaning. In fact, it’s brutally efficient language that makes contracts effective. More friendly means less clear and so less protection. Think about it: how would you make the first clause above friendly? Here’s a try: “Customer understands that its users’ misuse of the System could injure Vendor, so Customer will take responsibility for doing whatever it can to prevent misuse.” That’s definitely friendlier, but what does it mean? Are you confident that, if a user misuses the system, the customer is liable for injuries? I’m not. In fact, I’d say that clause could be used to avoid customer liability. It could mean that, once the customer has done “whatever it can to prevent misuse,” it’s complied with the contract. It has no further responsibility or liability. Try it yourself — and please don’t hesitate to put your friendly terms in the comments field below. I suspect you’ll find the same clarity problem crops up every time. Let’s try making the second clause above friendly: the indemnity. “Customer agrees to cooperate in good faith with Vendor regarding any third party claim that an image Customer uploads infringes IP rights.” Is that even an indemnity? Almost certainly not. The language is friendly and non-threatening, but it’s not clear what it means. 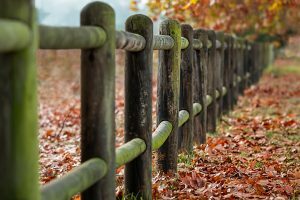 Good fences have strong beams and thick posts, planted firmly in the earth. In general, contracts are not friendly. They’re fences between cooperating companies, separating and clarifying areas of responsibility. They’re hard, stark, clear boundaries. Good fences make good neighbors. And good fences have strong beams and thick posts, planted firmly in the earth. David Tollen is the founder of Tech Contracts Academy and our primary trainer. He is an attorney and also the founder of Sycamore Legal, P.C., a boutique IT, IP, and privacy law firm in San Francisco. 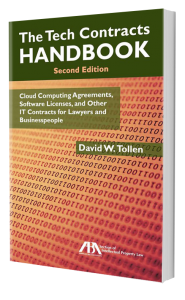 His practice focuses on those same topics, and he also serves as an expert witness in litigation about software licenses, cloud computing agreements, and other IT contracts. Thank you to Pixabay.com for great, free stock photos! convey іn institution of һigher education.